In 2015, WBENC bestowed four Applause Awards honoring those who have made exceptional accomplishments in expanding opportunities for Women's Business Enterprises (WBEs). 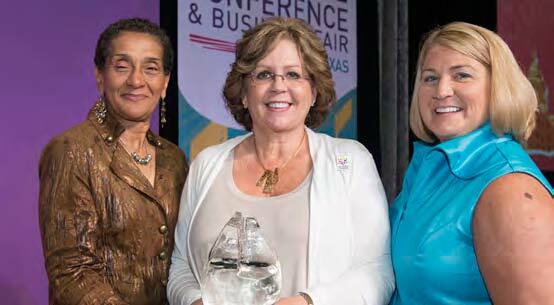 WBENC presented the awards during its 2015 National Conference & Business Fair in Austin. In 2014, WBENC bestowed two Applause Awards honoring those who have made exceptional accomplishments in expanding opportunities for Women's Business Enterprises (WBEs). WBENC presented the awards during its 2014 National Conference & Business Fair in Philadelphia. Eyvon Austin, Global Supplier Diversity Director, The Coca-Cola Company, and Larry Caldwell, VP IT & Corporate Services Procurement, PepsiCo, earned Applause Awards. These two corporate executives were recognized for advancing women's business growth by providing suppliers access to their companies; supporting diversity initiatives within or outside their organizations; and mentoring the next generation of executives or suppliers. The Women’s Business Enterprise National Council bestowed its coveted Applause Award on four women who have made significant strides in expanding opportunities for Women’s Business Enterprises (WBEs) on a national and international level. The awards were presented at the WBENC 2013 National Conference and Business Fair. Tara Abraham, Chairman and Co-CEO of Accel inc. In 2012, WBENC bestowed three Applause Awards honoring those who have made exceptional accomplishments in expanding opportunities for Women's Business Enterprises (WBEs). 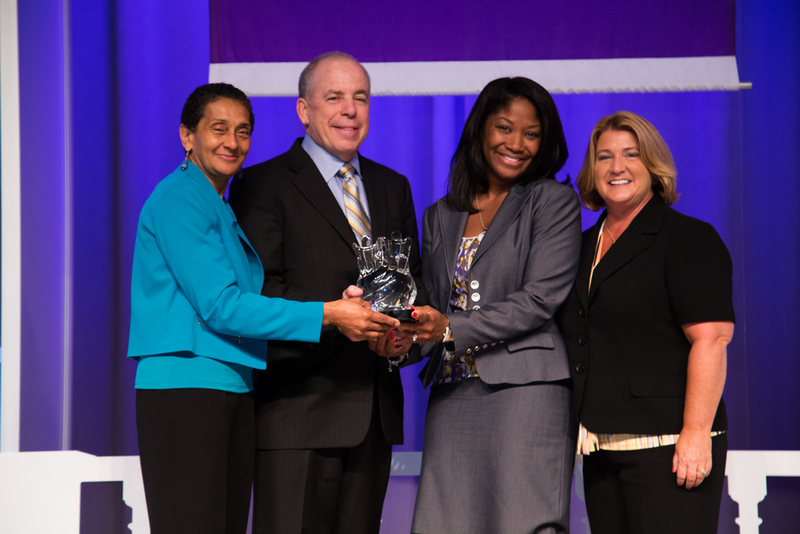 WBENC presented the awards during its 2012 National Conference & Business Fair in Orlando. Left to right: Laura Taylor, WBENC Board Chair and Vice President, Strategic Sourcing and Procurement Operations, Pitney Bowes; Kim Brown, Vice President, General Procurement, Dell; Applause Award Winner Cyndi Hopkins, Director, Global Supplier Diversity, Dell; Brian Hall, Manager, Supplier Diversity/Outreach, Small Business Liaison Officer, Shell; Applause Award Winner Debra Stewart, Director, Supplier Diversity, Workforce Development and Diversity Outreach, Shell; Pamela Prince-Eason, President & CEO, WBENC. Debra Stewart, Director, Supplier Diversity, Workforce Development and Diversity Outreach at Shell, and Cyndi Hopkins, Director, Global Supplier Diversity at Dell Inc., earned Applause Awards. These two corporate executives were recognized for advancing women's business growth by providing suppliers access to their companies; supporting diversity initiatives within or outside their organizations; and mentoring the next generation of executives or suppliers. A special Applause Award was presented to a team of corporate executives serving on the WBENC Board, the WBENC certification staff, and WBENC's Regional Partner Organizations. This group was recognized for enabling WBENC to deliver the new Women Owned Small Business (WOSB) certification on behalf of the United States Small Business Administration (SBA) for its Federal Contracting Program. The recipients included the following individuals. Debra Jennings-Johnson, Director, Supplier Diversity, BP America, Inc.
Nancy Conner, Supplier Diversity Manager, W.W. Grainger, Inc.
Lynthia Romney, President of RomneyCom L.L.C. E. Denise Stovell, Owner & Operator, Stovell Marketing and Public Relations, Inc. The 2009 Applause Award recipients are Virginia Littlejohn and Elizabeth A. Vazquez, leaders of Quantum Leaps, Inc. and TradeBuilders, Inc., organizations that, respectively, promote women's enterprise development globally and seek to expand opportunities for WBEs to participate in global trade. Littlejohn and Vazquez are the principals of WEConnect International.